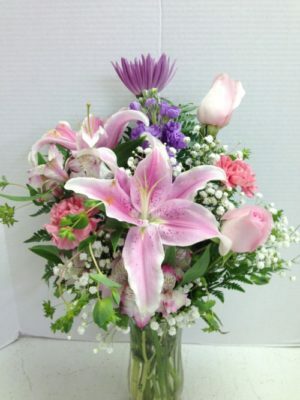 This Soft | Romantic | Perfect floral arrangement is just that: Soft, Romantic and Perfect! 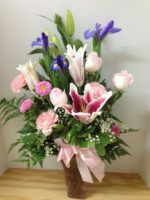 Stunning Stargazer Lilies, pink roses lavender fuji mums, pink alstroemeria and asters are professionally designed to convey your love and affection. 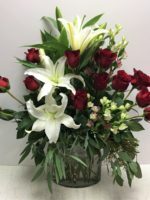 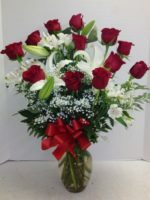 Perfect for a birthday, anniversary, for Mother’s Day, for congratulations and more, you can’t go wrong with the floral arrangement we call Soft | Romantic | Perfect.